Great things happened recently - last week we soft launched the indiegogo crowdfunding campaign at Rocketspace in San Francisco. What I mean by soft launching? We showed the video to everyone at the event and I gave an exclusive reading of chapter 1 and chapter 2. "The reception at RocketLabs, our 225 Bush St coworking location in San Francisco, was bustling with book lovers Wednesday evening, April 9th, as our very own Johanna Lehmann announced the soft launch of her very popular book, “How to Love San Francisco: One Year in the City by the Bay.” Johanna, aka author Hanni Bayers, regaled the crowd with her Indiegogo fundraising campaign video (featured below) as well as an exclusive live reading of the novel’s second chapter, introducing us to main character Hanni and explaining her book’s very unique structure. This hybrid travel guide and romantic novel follows Hanni’s adventures discovering San Francisco, its startup culture, and the intricacies of dating in America, each chapter followed by excursion details to special places and hidden spots in San Francisco. This romantic novel meets travel guide, originally written in German, has been lauded far and wide: it’s one of the top 3 books on Amazon in Germany, a Top 3 at the Continuing Studies of Wisconsin, and was a semi-finalist at the Tucson Festival of Books. The author, Johanna Lehmann, was even selected one of the Top 50 non-fiction authors by LovelyBooks, Germany’s largest reading community! You can support the English language translation through Johanna’s Indiegogo campaign, and download a chapter of the book for free on the Hanni Bayers website!" Enjoy the full post here! 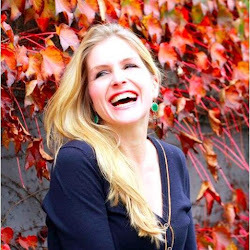 Johanna Lehmann, author of German book Ein Jahr in San Francisco, to launch an Indiegogo campaign to support the publication of its English title, How To Love San Francisco: One Year in the City by the Bay. in German, is making its way to English readers. The author, Johanna Lehmann, and her team is set to launch their Indiegogo book campaign on 23rd of April 2014. How To Love San Francisco: One Year in the City by the Bay is a “marriage of a novel and a travel guide, like a Lonely Planet with a love story. A story taking place in San Francisco and following the story of Hanni, a girl crossing both oceans and cultures to live her dream in The City That Knows How,” quips author and a Bay Area locale. “This book is written for everybody who wishes to learn about the life, culture, and the ins and outs of San Francisco and be entertained with the story of Hanni,” she adds. The German language version of How To Love San Francisco has already been a Top 3 best seller on Amazon Germany, a semi-finalist at the Tuscon Festival of Books, Top 3 at the Continuing Studies of Wisconsin, and LovelyBooks' Top 50 non-fiction author. Given the recognitions and positive reviews it has received from various literary communities, the IndieGogo campaign will bring the book to English readership all over the world. “This book sets up a fresh, somewhat frisky and unusual "take" on San Francisco. The author teases us with questions that ask us to look at our stereotypes. And she presents an answer about San Francisco not being what we think it is. It's an "island nation" not just a city. We liked this fresh voice, which is very hard to attain with travel articles about popular cities that have been written about so many times before. We wanted to turn the page to see what other nuggets the author brought forth," adds Jury of Writer's Institute Madison University. The IndieGogo campaign was soft launched also in mark of the author’s 30th birthday celebration held at RocketSpace and sponsored by Trumer Pils, a German style Pilsner, and EFACTOR, the world's largest entrepreneurial community. Johanna Lehmann is a San Francisco-based writer. Her previous work on San Francisco won the '2013 Writer's Institute' and was a semi-finalist at the Tuscon Festival of Books in Arizona. Lovelybooks, Germany's biggest reading community, selected her as a Top 50 non-fiction author. The German version of How to love San Francisco is the highest rated book in its category on Amazon. She holds an MBA from Ingolstadt School of Management & INSEAD and took Creative Writing at Stanford University. For further information about How To Love San Francisco, please visit www.JohannaLehmann.com or contact Johanna Lehmann at JohannaLehmannbooks@gmail.com. Press kit is available here: Bit.ly/howtoloveSF-collateral. My Soft Launch Reception tonight ...very special day!!! Soft Launch: Indiegogo Campaign for my new book "How to love San Francisco"
I am sooo very excited about this event and hope to tell you more about the official launch in a couple of days! RocketSpace is a technology campus that connects tech startups, innovative brands, accelerator programs, and entrepreneurs to bring the future to market. Thanks for supporting this cause! A German style Pilsner, Trumer Pils is characterized by a distinct hops flavor, high carbonation and light body. Trumer Pils is a great beer and since the characters in the book love to drink Trumer Pils, Trumer will be sponsoring some delicious beer for the event. A big 'Thank You' to Trumer Pils in Berkeley for supporting us! EFACTOR is the entrepreneur's Wingman. EFACTOR is the world’s largest entrepreneurial community. EFactor provides online and offline resources that every small business owner needs: knowledge, funding, gain revenue and save cost. At EFactor, entrepreneurs can exchange ideas with experts, receive exclusive discounts on business tools, interact with potential partners or clients, find employment, healthcare and discover funding for their startups. EFACTOR, thank you very much to for supporting us!